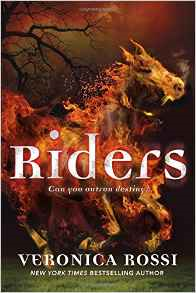 RIDERS, Veronica Rossi's follow-up to her New York Times Best-Selling UNDER THE NEVER SKY series, hit the shelves last week. It's an action-packed thriller that takes by the biblical notion of Four Horsemen of the Apocalypse for high-intensity ride involving secret military divisions, the supernatural and an awesome mystery. 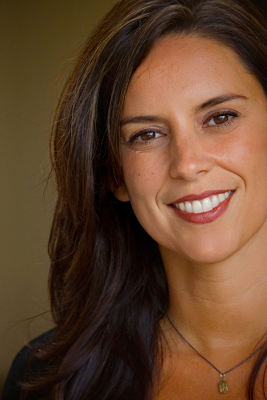 SO, I asked her...What is it like to move on from a best-selling series and set your sights on a new project? How did you choose your next writing adventure? What advice do you have for other authors faced with saying goodbye to beloved series characters? It was actually rather scary to move on because RIDERS is pretty different from the UNDER THE NEVER SKY series and I was worried about disappointing fans. Ultimately, RIDERS was the book I needed to write at the time, so I did. I suppose you could say that I made a decision to write for myself first, and for the market (fans, publishers) second. I felt a lot of doubt about the path I chose, and still do, but I’m also really proud of myself for following my artistic compass. I never want fear to stop me from making creative decisions, so that involves being brave. It involves working really hard at accepting any outcome. I’ve become extremely philosophical lately about what “failures” and “mistakes” mean. That’s just been what I’ve need to embrace at this point in my writing career. The idea that it’s a journey. And that as long as you’re on the journey, you’re okay. RIDERS was a book that I just had to write, even though I worried it wouldn't sell. As I’ve mentioned, it’s a departure for me and there aren’t a lot of male point-of-view characters in YA, particularly on the fantasy end of the spectrum. But I loved the main character, and the idea of exploring the horsemen - War, Death, Famine and Conquest - as metaphors. Also, I’ve always loved military fiction, and I was inspired by a biography I’d read a few years ago that moved me called FEARLESS. Lots of reasons, really. But I generally think a book picks me more than the other way around. If I become obsessed with the idea, then I know I have to take it on.